If you are looking for an affordable surgical solution to severe obesity, consider Mexico for bariatric surgery. One-incision gastric sleeve surgery in Mexico could be your first step towards getting down to a healthy weight. This is a minimally invasive laparoscopic surgery in which a single incision is made in the navel. Through this tiny cut, the surgeon is able to perform the entire surgery without leaving a visible scar. The process is very aesthetic; you won’t have to deal with unsightly scars or other reminders of your surgery—except the eventual weight loss! The Centers for Disease Control and Prevention (CDC) report that over a third of US adults (35.7%) are obese. Bariatric surgery can be extremely expensive in the United States; however, obese patients have many options to choose from the south of the border. Many cities in Mexico are popular with medical tourists looking for bariatric surgery. You can get a single incision sleeve gastrectomy in Guadalajara, Puerto Vallarta, Tijuana or Cancun. 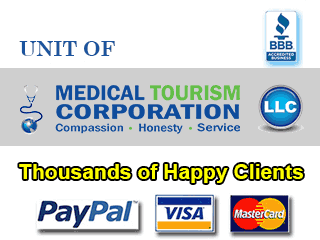 The low cost of laparoscopic single incision weight loss surgery in Mexico is the main draw for medical tourists. In fact, patients who have had bariatric surgery in Mexico often return home reporting savings of 40% to 70% on the price of the same surgery in the United States or Canada. Prices are kept so low because of the low cost of living in Mexico. This drives down the price of nearly everything, including quality bariatric surgery. Furthermore, doctors are not required to purchase malpractice insurance, which allows them to keep their prices low. This, however, doesn’t mean that you will have to sacrifice quality for a lower price. Doctors for single incision sleeve surgery in Mexico do not have as much student debt as doctors in the United States, which also helps them keep costs down. Doctors in Mexico know that you value your time just as much as your money, and are accustomed to meeting this need for foreign patients. You will not be required to wait long for single incision gastric sleeve in Puerto Vallarta or elsewhere in Mexico as you would in the United States or Canada. Our network surgeons are highly trained and capable physicians, many of whom have education and/or work experience in the United States. Many also speak excellent English, so the language barrier will not be a problem. We are associated with excellent medical facilities that are equipped with modern instruments. A trip to Mexico for one-incision gastric sleeve surgery is also a great excuse to take a long deserved vacation. Hospitals in many beautiful tourist destinations such as resort cities of Cancun and Puerto Vallarta offer the surgery, giving you the chance to see a new place and experience a different culture. As long as you plan well and take a few precautions on your medical trip to Mexico, you will have a wonderful time and come home healthier and refreshed. With obesity on the rise in the United States, more and more people are looking for affordable surgical weight loss solutions abroad. According to a report published by the University of Arizona, 750,000 US citizens went abroad for medical treatment in 2007, and that number continues to grow each year. Getting single incision gastric sleeve surgery in Mexico could change your life. It could enhance your physical appearance and, more importantly, make you a healthier person. Get a surgery quote and see just how affordable a new you can be. Submit the free quote request form on the right for more information on One Incision Gastric Sleeve in Mexico.